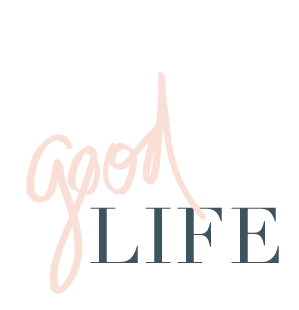 jillgg's good life (for less) | a west michigan style blog: 5 mistakes I made when trying to lose weight! 5 mistakes I made when trying to lose weight! I have been very open about my journey to a healthy weight that I started with my husband on January 1st of this year. It's been so life changing and freeing that I just can not help shouting from the rooftops why I love this program so much. But here is the penny tour if you are new around here... around age 35 I noticed that my jeans were getting tighter. I had some extra stress in my life due to some personal things and thought - oh it's just a little stress eating - no biggie. Right? But when I went to my yearly doctors appointment I was a little surprised by my weight. Not being one to stress about weight or food and exercise I thought no biggie. Until the next year my weight was up again. And then I was buying new swimsuits and jeans because the old ones didn't fit. I knew so many women that had warned of when "your metabolism slows in mid-life" but I was in denial that it was happening to me. By age 39 (2017) I had put on about 10 extra pounds and I felt like junk. I was tired all the time, I was super bummed clothes (even my bras!) weren't fitting and I started getting really down on myself. So to make things right I tried calorie counting, I tried cutting out gluten, cutting out meat, smoothies 2 or 3 times a day and on and on. And NOTHING worked. I mean sure, it's just 10 pounds, but at this rate it could be 10 more in 5 more years and that was not something I was interested in letting happen. A few fellow bloggers were raving about this new program... and at this point I had nothing left to lose. Joining the FWTFL program has been the best decision I've ever made for my health - ever. Over the past 7 months I have learned so much about FUELING my body and about making good food decisions. I thought I was "healthy" before but instead I was falling into the traps that media gives us about weight and healthy living. And none of it proved true. Almost right away my stubborn 10 pounds came off and it has since STAYED off. I feel amazing and I love that now I get to buy smaller jeans instead of bigger jeans when clothes don't fit anymore. 1) Counting calories and believing that a 'calories in/calories out' diet will help you lose weight. There are more and more studies on this that are debunking this myth lately - but I don't need studies. I learned it myself. Counting calories was NOT working for me. Even when I dropped my caloric intake to 1100 calories a day (not healthy for me personally) I was still gaining weight. What!?!? Counting calories this way is like telling your car you will only fill the tank with gas if it drives first. That car isn't going anywhere. We need FUEL - not depletion to look and feel our best. 2) "Punishing" myself for eating badly. This is a trap that SO many women fall into and it's TERRIBLE. It's not good for your body and it's even worse for your mind. You shouldn't punish your body for anything. ANYTHING. When you make a few bad food decisions and then try to "right" it by severely limiting calories the next day or overworking your body at the gym you throw your body into survival mode. It's the opposite of helpful. The media seems to tell us that working out is the only way to lose weight and so we believe them and kill ourselves in the gym when really working out is only about 20% of the weight loss equation. Especially cardio! Which is good for me, since I hate cardio. I knew when I saw Amanda's Fat Loss pyramid that this program was going to be perfect for me! 3) "Rewarding" myself for a good workout. I am the worst at this and I still have to remind myself to not think this way. It goes back to the calories in/calories out thing - it just doesn't work and it's a backwards way to think. Now that I've learned to properly track my macros (similar to counting calories, but more intuitive and based on fueling your body instead of limiting your food) I know exactly when I can and can't treat myself. No more guilt! It's the most freeing feeling ever! This is another one that so many women fall into. Just having a "bite" to eat for lunch and half a serving at dinner while feeling tired, worn out and fatigued isn't working friends. I will be the first to say that my appetite is always changing. Some weeks my appetite is voracious and others it's very small. During both swings I know I need to meet in the middle... whether you are trying not to eat too much because you want to lose weight or you get super busy and forget to fuel your body due to stress or life circumstances, both can keep you from losing the stubborn pounds. Forget the notion that it's not lady-like to eat - you NEED to eat. Get out of your mind that food is the source of your weight gain and get INTO the mindset that fueling your body the RIGHT way will lead to your total health (mind and body!). When I first started FWTFL I felt like I had to eat MORE than what I was used to eating. Eating more to lose weight!? That sounds like a dream, right? If it's the right foods at the right time it is 100% a reality. 5) Not paying attention to what was working for others and doubting myself. This was a big one for me. I saw other s being successful with this program and I wasn't able to trust myself that I could do it. I wasted months of too-tight jeans and feeling tired and gross when I should have just trusted myself enough to know I could make the change that was needed. I knew I was uneducated about what works (because I was still trying all the methods above!) but I was stubborn to step out and try something new. In the end I was scared that a change would be "too hard" or that it wouldn't work for me. It frustrates me now to think back that I was so doubtful and because of that I lost out on so many months of feeling my best. Starting the FWTFL program taught me SO much about counting macros, fueling my body, intermittent fasting and more. For me it was an investment in my LONG TERM health. It took a few weeks to get the system down and 7 months later I am still using what I learned every day. The weight came off and stayed off and the lessons I learned during the 7 week program will stick with me for LIFE. This is such an amazing long term success plan for health. Use this link to find out more and sign up for the next round! And if you want to see my before and after photos of my weight loss... check out this post!